In January this year, I visited Ireland for the first time with my brother. We drank some whiskey, we ate lots and we drank some Guinness. Then we drank some more. 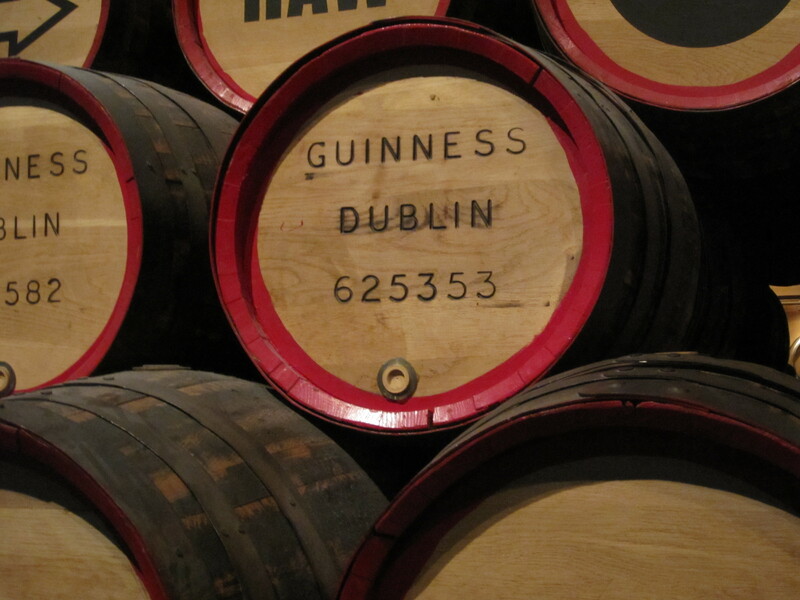 We even visited the Guinness factory to sample a drop of the black stuff. 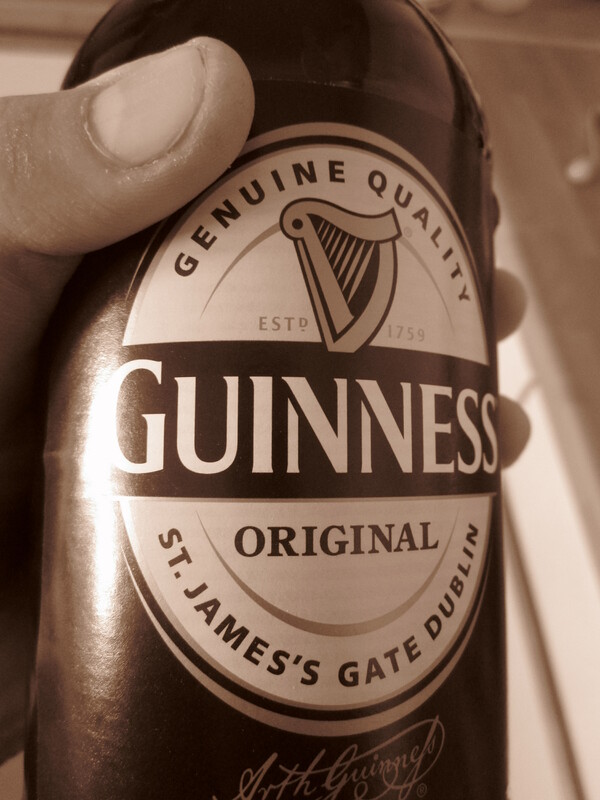 I know it sounds funny, but it does taste better on Irish soil. You know what else it tastes better with? Chocolate. Oh yes it does. The iron rich flavour is boosted to Superman level in cake form and who doesn’t love to eat your drinks. 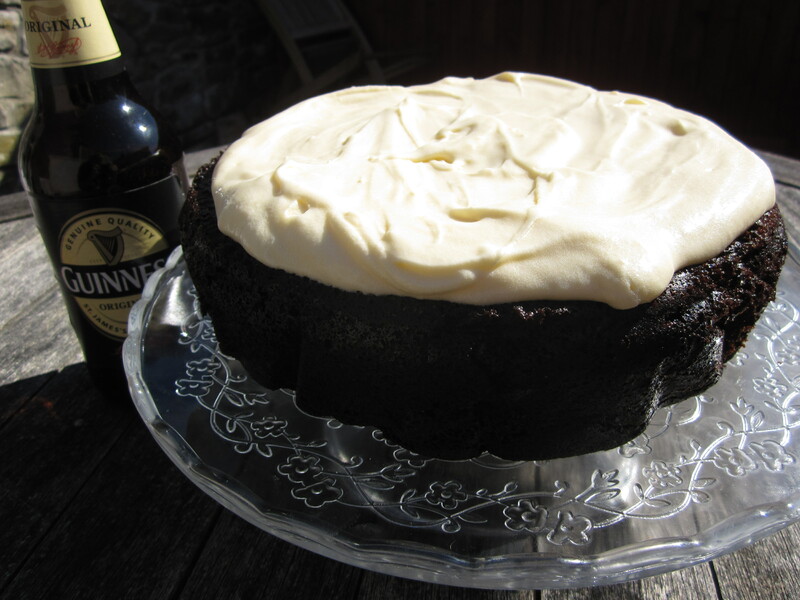 This cake is from Nigella Lawson Feast cookery book, I’ve made it a couple of times before and love how it looks like a pint of Guinness. I changed the icing on top to a cream cheese frosting as I had a mountain left over from my creepy Ryan Gosling Valentine Cupcakes. 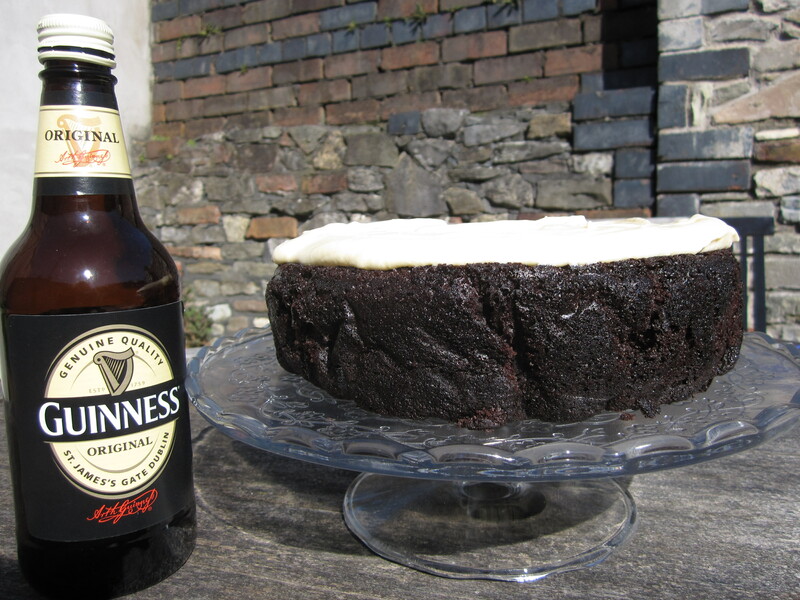 There will be half a can of Guinness left over from making this cake, so while the cake is baking, why not have a glass of the black stuff and toast St Paddy! Oven to 180°C and butter and line a 23cm / 9 inch springform tin.Pour the Guinness into a large wide saucepan, add the butter and heat until the butter’s melted, take off the heat and whisk in the cocoa and sugar to the melted butter mixture. Beat the sour cream with the eggs and vanilla and then pour into the cooled buttery, beery pan and finally fold in the flour and bicarb to the beer mixture until combined. When the cake is cool, place on a plate and get ready to decorate the top, to make the froth of the pint. Place the cream cheese in a bowl and soften until creamy and smooth. In a stand mixer bowl, beat the butter and a third of the icing sugar and beat until smooth. Repeat with another third of the sugar until combined, and finish with the last third of the sugar and vanilla extract. Beat in the cream cheese to the icing until lump free. Pile on top of the cake and stand back to admire, before attacking the cake with your face.